Only two species of domestic cattle exist: Bos taurus, the temperate breeds, and Bos indicus, the tropical breeds. Within those two species, there are more than 800 different breeds. Additionally, many cattle breeds can be divided into varieties -- such as the red-and-white or black-and-white Holstein. Cattle have been bred to produce milk as dairy breeds, grown for meat as beef breeds and used for both as dual-purpose breeds. Beef breeds of cattle are used to produce meat. The breed of beef cattle used will influence efficiency and profitability within the beef industry. British breeds of beef cattle, such as Angus, Hereford and shorthorn, can be a bit smaller but reach maturity faster. Continental European breeds grow larger and produce meat with less fat. Some continental European breeds include the charolais, Limousin, Maine-Ajou and simmental. Holstein-Friesians, Jerseys, brown Swiss, Ayeshire and Guernseys are common commercial milk-producing breeds. Black-and-white Holstein cows make up more than 90 percent of the U.S. dairy herd. Top producing cows should produce large volumes of milk with high amounts of butterfat and protein. The Jersey cow produces some of the highest butterfat and protein content, but lower volumes of milk. Genetic advances in breeding Holstein cattle have created cows that produce the highest volumes of milk. Dual-purpose breeds of cattle have characteristics inherent to both dairy breeds and beef breeds. Often, dual purpose breeds use cows for milk production and the males for beef production. The Gloucester, an ancient breed valued for long-term milk production and lean quality meat, is an example of a dual-purpose breed. Certain breeds of cattle have been used specifically for their ability to withstand particular environmental hazards. For example, Highland cattle originally developed by natural selection to survive the extremely harsh conditions of the Scottish Highlands. Their long hair coats protect them against the elements and they can fatten on poor pasture. Brahman cattle, originating from India, have the ability to function well in hot, humid, insect-infested conditions in which other cattle would likely perish. Certain breeds of cattle, once core components of regional cultures, have become less popular in modern times and are in danger of extinction. 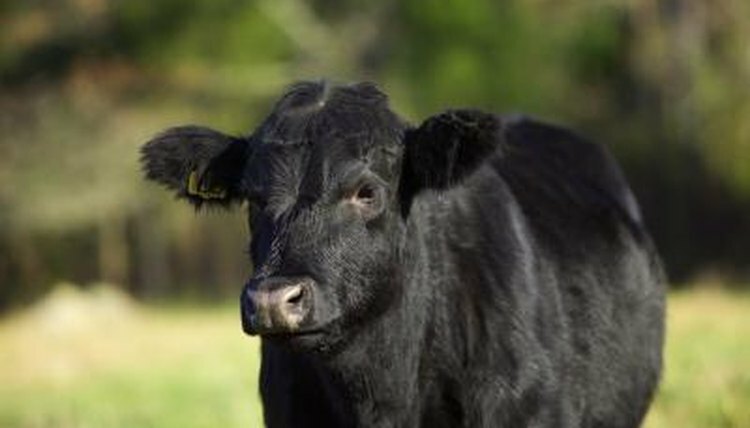 Groups such as the American Livestock Breeds Conservancy have dedicated themselves to preserving these cattle types, recently classified as heritage breeds, such as the belted Galloway, Devon, Dexter and Kerry. One of the oldest American heritage breeds in the Pineywood, which decended from Spanish cattle brought to the Americas in the 1500s.